profile picture | Sheppard's Pie. Listen, Kellogg. Don’t put two Pop Tarts in each package and then tell me that a serving is one pastry. That’s just not fair. You know I’m going to eat both. What am I going to do, tape up the little foil package and save the other one for later? I’m not. I’m not going to do that. Just say that it’s 420 calories instead of 210 and stop pretending that one Pop Tart is even feasible. Also, unfrosted Pop Tarts are a joke. Why were they ever created? It’s widely known that children and adults alike tediously break off the tiny unfrosted edges of each pastry before consuming them. 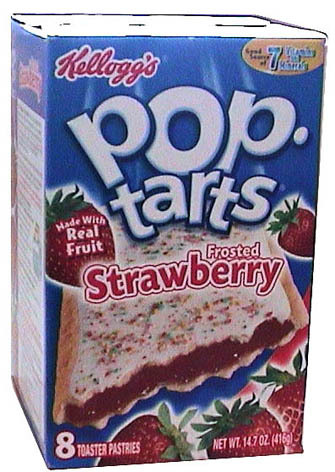 Unfrosted Pop Tarts are like un-milked bowls of cereal. It’s like mashed potatoes without gravy. It’s like chips with no dip. It’s like spaghetti without sauce. I don’t understand it when people have six variations of the exact same profile picture, but each one cropped just a little bit differently. Usually these are all in a consecutive row, right next to each other, to make matters even more annoying. Pick a crop you like, and stick with it. Don’t do this to me. I don’t have time. My brother and I play this game called “The Onesie Game” while we’re out snowboarding on the mountain. Onesies are running rampant during gaper season in the spring. 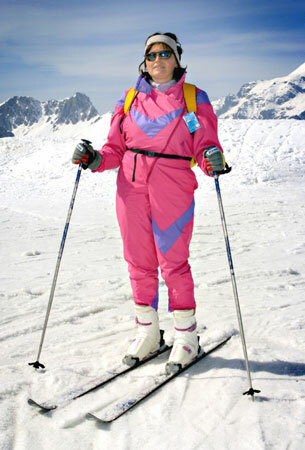 Olds bust out their neon and florescent uni’s and ski their little hearts out. The game consists of spotting people wearing one-piece snowsuits (“onesies”) and then calling them out. Example: “ONESIE!” Like so. You get 1 point for calling it, 5 points for touching it, and 10 points if you give the person wearing said onesie a hug. I got 63 points today. I uh…I won. You don’t want to call out a onesie though and then discover that it’s not a onesie. That’s a negative point. You have to look for the giveaway belt around the middle of the suit. Hugging small, defenseless children is onesies is really the key to racking up the 10 pointers. They can’t do anything about it. If you’re a male participating in Mustache March, however, I would caution against going after the young ones in front of their parents or other family members, unless you want an Amber Alert called out immediately. Just a tip from the pro, that’s all. Well, time to get weird. Peace. B: Butterfaces are the absolute worst. They’re such a disappointment. R: There’s nothing worse. Sooo close, but no cigar. R: Speaking of grenades, did you watch the roast of Donald Trump on comedy central? “The Situation” from Jersey Shore had a bit in it, and he was so horrible. He got booed. …Bood? People went “boo” at him. Categories I'm wondering., Life on the daily.